I’ve been in charge of this side dish for my family’s Thanksgiving dinner for as long as I can remember. 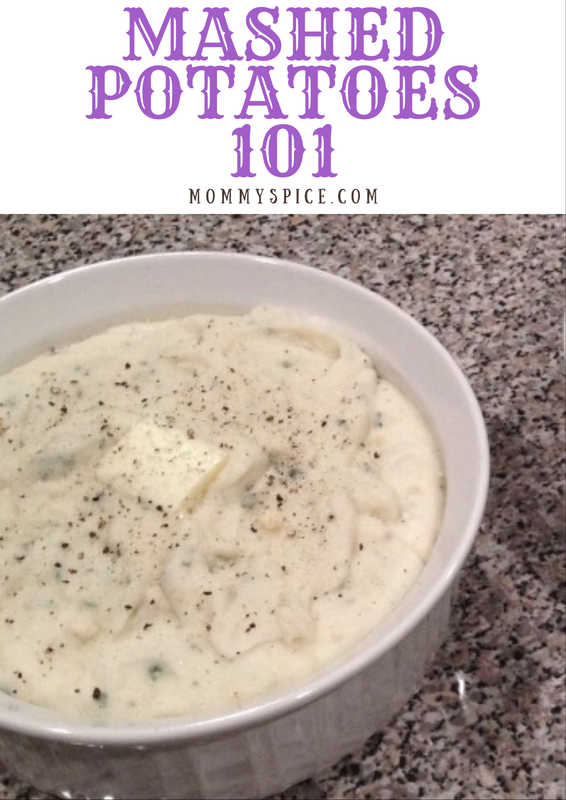 I’ve picked up a few tricks over the years for the best mashed potatoes. So here are my tried and true tips for anyone tasked with making the mashed potatoes this year. 1. Peel the night before! (I love giving my husband this task) Once peeled, rinse the potatoes and chop them into even size chunks. Then cover them completely with cold water and store them in the fridge until morning. 2. Start cooking your potatoes in cold water, some people make the mistake of boiling the water first, like with pasta, but you don’t want to do that, it’ll cook the potatoes unevenly. 3. Salt your cooking water, potatoes can hold a lot of salt (and they need it) so rather than over salting the end product this is a nice way to start the seasoning process with the cooking liquid. 4. Mix potatoes. I use half russet potatoes, half Yukon gold. This is probably my newest tip, as I’ve only done this the past 2 years. However, you will notice a difference in both texture and flavor. 5. Warm your mashing agents (butter, cream, milk, etc.) Making sure your butter and milk are at least room temperature will make mashing the potatoes a lot easier and faster, it will also make for fluffier potatoes. 6. Choose your masher wisely. I have never used a potato ricer, however I have heard this is hands down the best way for lump-free potatoes. I am old school and like my hand masher, it’s a little more rustic as the mashed potatoes won’t end up completely even. A hand mixer works well also, especially for larger quantities. A stand mixer can work, if you watch it closely, however, it’s really easy to over mash the potatoes. A food processor will not work, it will most definitely over mash and leave you with a gummy texture. 7. Flavor vs. tradition. I’ve done all sorts of add-ins, however, I always come back to traditional mashed potatoes. Flavor bomb 1, If garlic mashed potatoes are your thing I highly recommend roasting your garlic. (I have a hack for doing this in the microwave that cuts the time down significantly from the oven method of roasting garlic) Roasted garlic is a lot creamier and has a less aggressive flavor than raw garlic, so it will not over power the entire meal as garlic can sometimes do. Flavor bomb 2, cream cheese/ Marscapone cheese, this will add a nice little tartness to your potatoes (you can also get a tartness from butter milk) and the cheese will make them a little more decadent. Again, just bring the cheese to room temperature before mixing into cooked potatoes. Flavor bomb 3, chicken stock, this can add a nice depth of flavor however it’ll water down your potatoes, so if this add-in is your thing I’d go half chicken stock, half heavy cream so the potatoes keep a thicker consistency. I hope these helped! Happy mashing! And feel free to leave any additional tips you have for mashed potatoes!